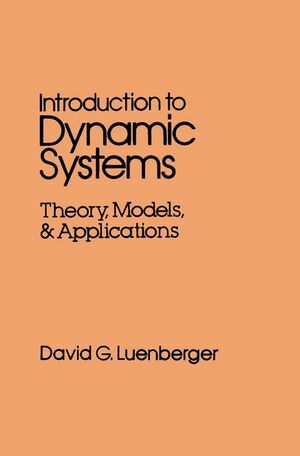 DAVID G. LUENBERGER is a professor in the School of Engineering at Stanford University. He has published four textbooks and over 70 technical papers. Professor Luenberger is a Fellow of the Institute of Electrical and Electronics Engineers and recipient of the 1990 Bode Lecture Award. His current research is mainly in investment science, economics, and planning. Linear Systems with Constant Coefficients.